This foldover leather and fabric wallet has an ostrich pattern in a light tan. 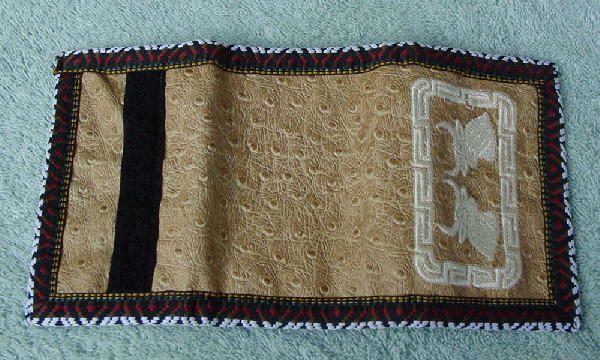 It has thread accent stitching in white, black, maize, red-rust, brown, and green. There is a velcro strip closure under the front flap. 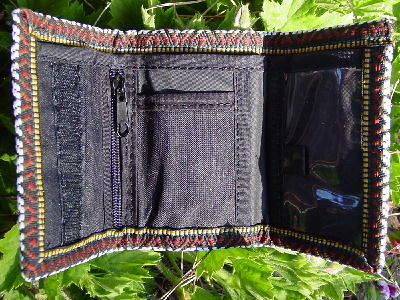 The black interior has two side to side sections to hold your dollar bills, and in front of that on the left are a vertical zippered section and a card holder, and on the right a vertical see-through compartment. 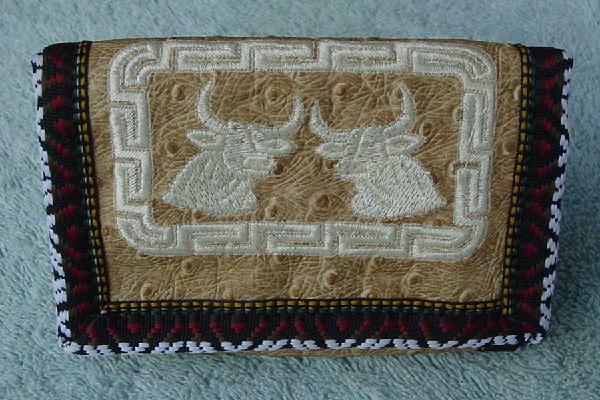 On the front are two longhorn steers and a border design in white stitching.